Last week, I was a guest on an upcoming podcast called Six degrees from the City, which explores writers living in Western Sydney. You can check out an earlier episode with Felicity Castagna here. I’m proud to be a Westie, having lived all my life here in Western Sydney. My favourite teams are the Wests Tigers (previously the Western Suburb Magpies haha) and more recently, the Western Sydney Wanderers. So when I first started writing Thai-riffic!, I wanted to make sure that it was set in Western Sydney. I was a teacher around there for a few years, so I thought how cool would it be for kids to be able to find suburbs like Liverpool,Fairfield and Cabramatta in my books. It would give them a buzz and they would realise that they could write their own stories set in their local neighbourhood. A cHEwY gum gum told me that they were thrilled when I name dropped John St, Cabramatta’s main shopping street in my second novel, Con-nerd. However, I drifted away from naming suburbs in Western Sydney from Punchlines and Thai-no-mite onwards. Why? I felt that once you set a story in a place, it has to be authentic. There is a joy in having concrete details of a real place to add richness to a story. Felicity Castagna’s brilliant The Incredible Here and Now is one example, where I drove through those described roads and places. I think the suburbs is actually it’s own character in the novel, it’s more than just a name drop. 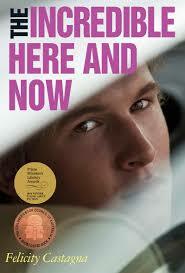 Yet, The Incredible Here and Now will still resonate with readers from all over. It’ll just mean a little bit more to those who live in the westies hehe. 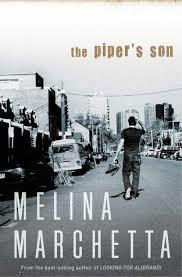 I don’t live in the inner west suburbs of Sydney, but I loved Melina Marchetta’s The Piper Son. Despite the setting, I felt like I could live in a place like this. Jeff Kinney mentioned that he sets Diary of a Wimpy Kid in a ‘nameless’ place because he wants readers to think that Greg could visit their town one day. So, there are perks either way of setting your stories in real areas. I mean, my next book could be in Tokyo and I can visit there again for ‘research’ haha. But going back to the western suburbs, growing up there weren’t many voices represented from around here. Fast forward to now, and there are so many diverse voices, and I’m glad that they’re being heard. So what I do now is take inspiration from the Western Suburbs to name my places. The Other Christy is set in CabraVale. My new book, Natural Born Loser is set in Barryjong, as well as mentioning their favourite soccer team, the Western Wizards haha. I’ll continue to fly the flag for Western Sydney in my school talks and presentations, because I’ll never forget where I really come from. I’ll continue to sing for the Wanderers haha.